UNSW plans to deploy a network of sensors across its main Kensington campus as a testing ground for an Internet of Things mini-city. Dean of Engineering, Mark Hoffman says the university's main Sydney campus is effectively "a mini city". 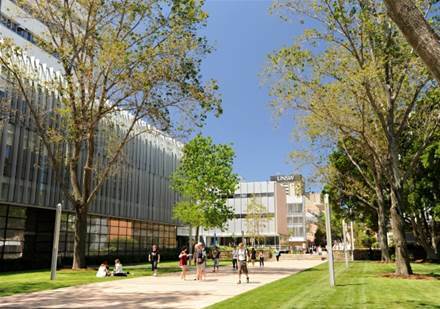 Servicing almost 50,000 students and 12,000 staff makes the UNSW campus a good candidate for a testbed of smart city and Internet of Things infrastructure. UNSW, Cisco, and Data 61 are all involved in Innovation Central Sydney - a Cisco-led IoT lab. UNSW will host a "hub" for the main lab on its Kensington campus that focuses specifically on the intersection of cyber security and IoT. But Hoffman hopes UNSW will bring more than research to the project, and become a testbed for IoT and smart city technology in its own right. Several early use cases have been suggested, according to a report in IT News by Ry Crozier. "Transport, for example, is a really big issue knowing when our students are moving and when they want to take transport off campus and around campus is really important," Hoffman said. Hoffman said sensors could allow UNSW to manage energy consumption in buildings and make sure workshops were equipped with the consumables and connectivity to meet student needs and make the learning experience "seamless". This may involve installing sensors on the doorways of workshop spaces to keep track of how many people enter and exit the space. He also said the university was keen to test more "student-centric" and less structured modes of learning on campus. "The delivery of education is changing quite dramatically," Hoffman said. "Our vision is to get the students out of the lecture theatres and learning in groups themselves. "Currently when students are learning a particular subject they turn up to a lecture theatre at 11am and sit there for two hours. It's all very structured. "But once we start relaxing that and allowing students to go where they want to go, managing that becomes a lot more significant. That's where we need the sensing."